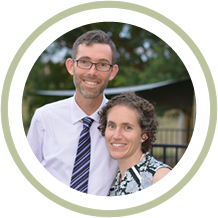 Welcome to the family chiropractic wellness clinic of Dr Matthew Comerford, his wife Dr Emma Piovesan. 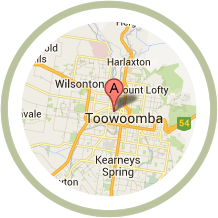 We have been providing exceptional chiropractic and wellness care to the families of Toowoomba since 2004. While people of all ages consult us for a range of health issues, we especially love helping children, women throughout pregnancy, and women with postpartum recovery. 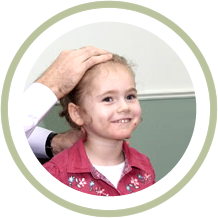 We boast having the only chiropractor in Toowoomba, and surrounds, with university training in children’s chiropractic and wellness. Dr Matthew is one of the few chiropractors with a Master of Science in Chiropractic Paediatrics, from the University of Wales in the UK. We also love helping adults of all ages to improve their spine and peripheral joint function so that they can be active at all stages of life. We want you to feel great and function at your best so that you can work, sleep and play without your spine, shoulders, hips or knees, hands or feet causing problems. Our chiropractors strive to provide the most effective, up-to-date, and affordable care available. Our aim is to make you feel better, function better and get you back to doing the things you love. Our patients often comment that they have never had such a thorough history and examination. We pride ourselves on being able to listen to your health issues and goals, and we will provide the best advice and care we can. We promise to thoroughly examine you from head to toe so that we can get to the root of your health concerns. Lifestyle Coaching is an important part of our service. If you are overweight, don’t exercise, sit more than 3 hours per day, eat inflammatory foods, have stress that you are not managing, or simply sleep on the wrong pillow, then you may never have good joint function or health. Our highly trained chiropractors will tailor make a lifestyle programme for you to improve these lifestyle causative factors, so that you can have the best improvements to your joint function possible. We also tailor make programmes for our little patients to improve their posture, nutrition, stress management, exercise, and play patterns so that your child can grow to have good joint function as an adult. Call our Toowoomba chiropractic office today to schedule a appointment. If you have some questions, we are more than happy to answer them via email or phone (07) 4659 9930. We look forward to helping you and your family to achieve better health.